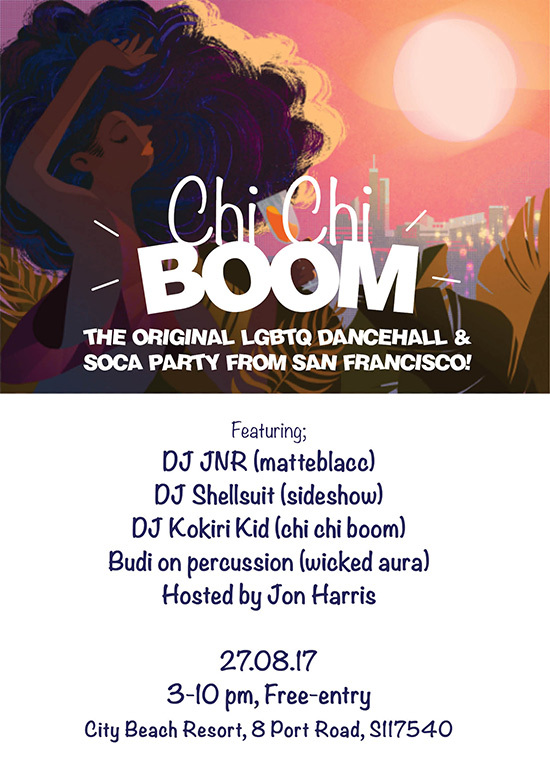 Introducing Chi Chi BOOM – a Soca & Dancehall party for Queer Folks and Allies! “Where’s my Dancehall Kings, Soca Queens, Rude Boys, Bad Gyals, and EVERYONE wining in-between!? Chi Chi BOOM is a new daytime Caribbean dance party for my Queer folks. It originally began in San Francisco, and now we’re bringing it to you in Singapore. 3-10pm. Free entry. Everyone is welcome!